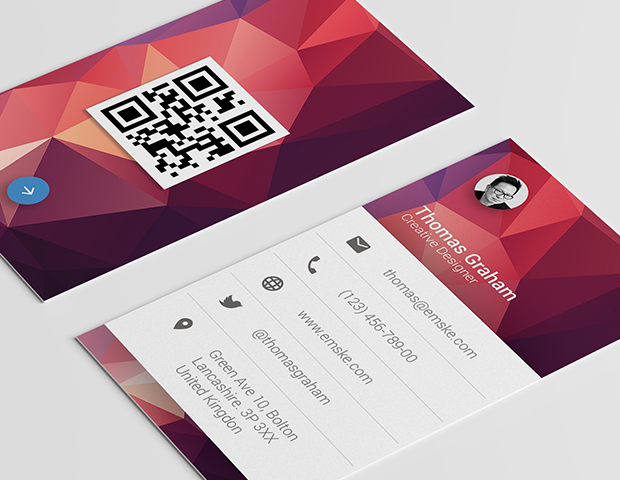 Nice and useful business card template with geometric background and place for personal photo and QR Code. 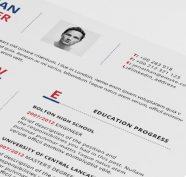 This design is full of colours and abstract shapes, so it will be a good way to impress your future client. This personal business card is ready to print, just update your information and change images (qr code, personal photo). I really like the look of the geometric business card. It would look really cool to print on canvas. I love that it’s ready to print. It’ll definitely impress some clients.